Care about food consumption or feel strongly about food waste? Interested in having your idea professionally produced and shown on National TV? 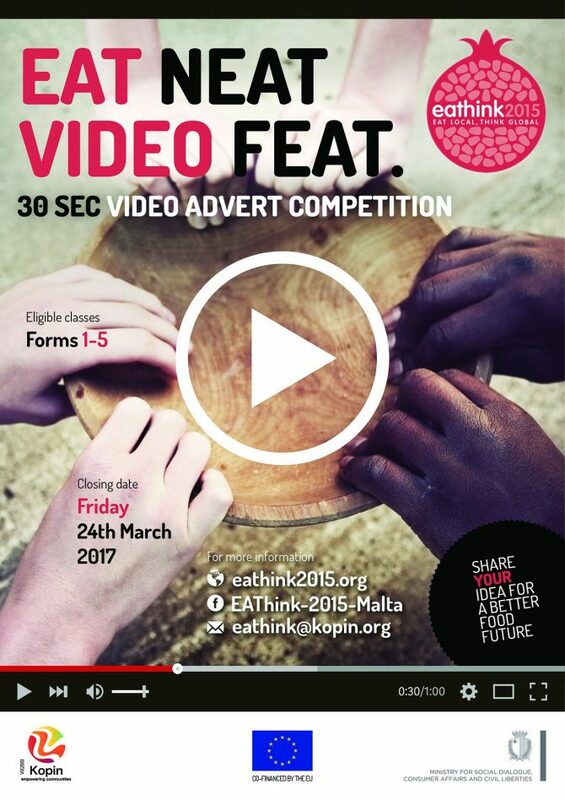 In the frame of the EAThink 2015 project, Kopin is launching a National Short Video Competition for Secondary School students (Forms 1 to 5) in Malta. The winning video will also be eligible to participate in the EAThink 2015 European Video Competition! For more information, please consult the Rules and Regulations and the Application Form.